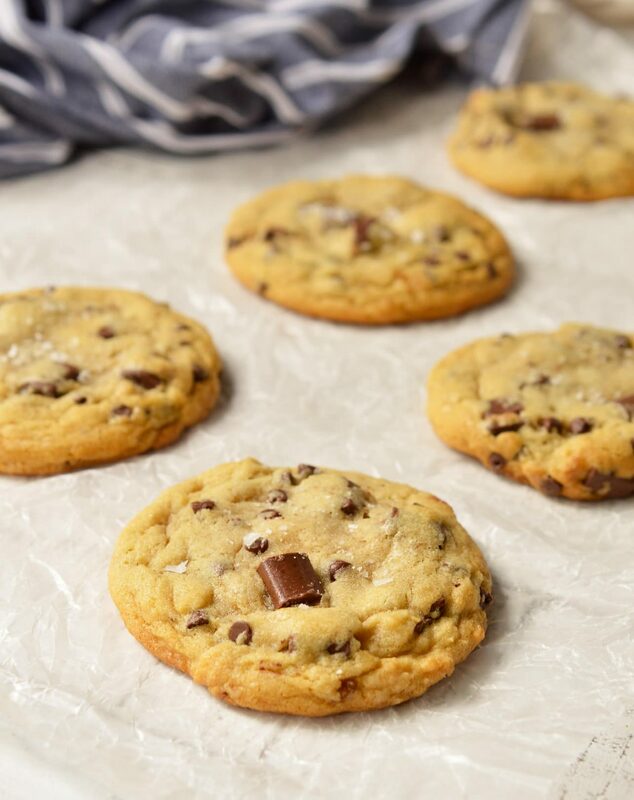 These Soft Chocolate Chip Cookies are my family’s favorite treat! A special secret ingredient gives them a unique flavor and they are loaded with two types of chocolate chips! Also, this is a High Altitude Chocolate Chip Cookies Recipe. 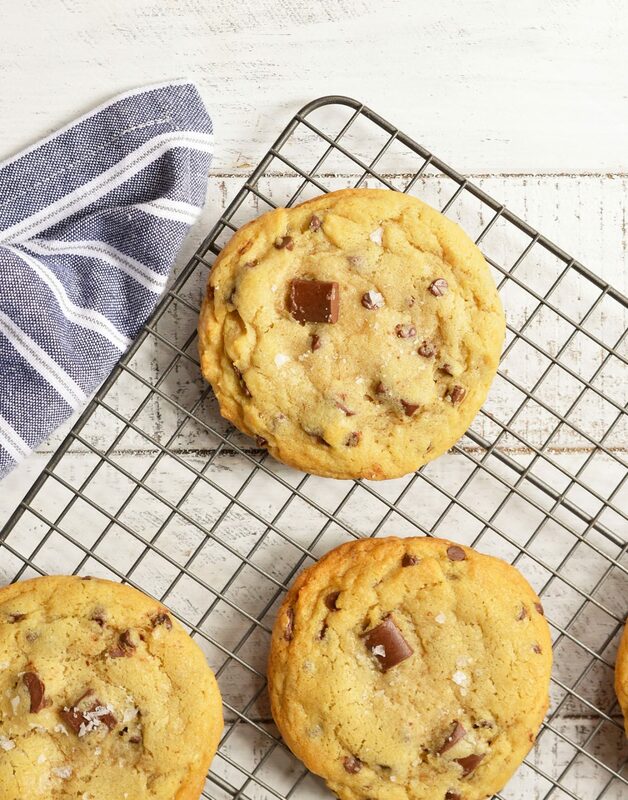 Soft, chewy, super-chocolaty and finished with a sprinkle of sea salt. I am a brand ambassador for Rodelle. I can’t think of a better way to end 2017 than with these Soft Chocolate Chip Cookies. We all deserve a cookie for making it through this year. And these cookies are the ultimate! 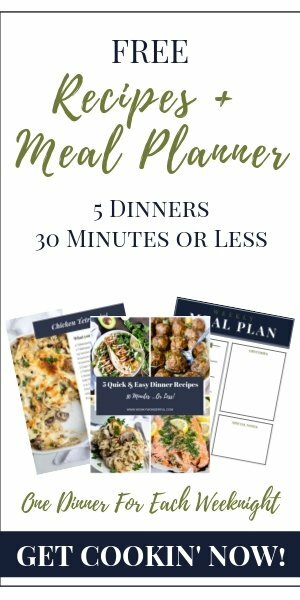 I have been working on this recipe for a year. A year ago I moved from sea level to about 4 thousand feet. My first attempt at baking cookies was a total disaster. After getting tips from fellow bloggers and Facebook friends I decided to focus on one cookie recipe until I got it perfect. Of course, I chose my favorite type, Super Soft Chocolate Chip Cookies! 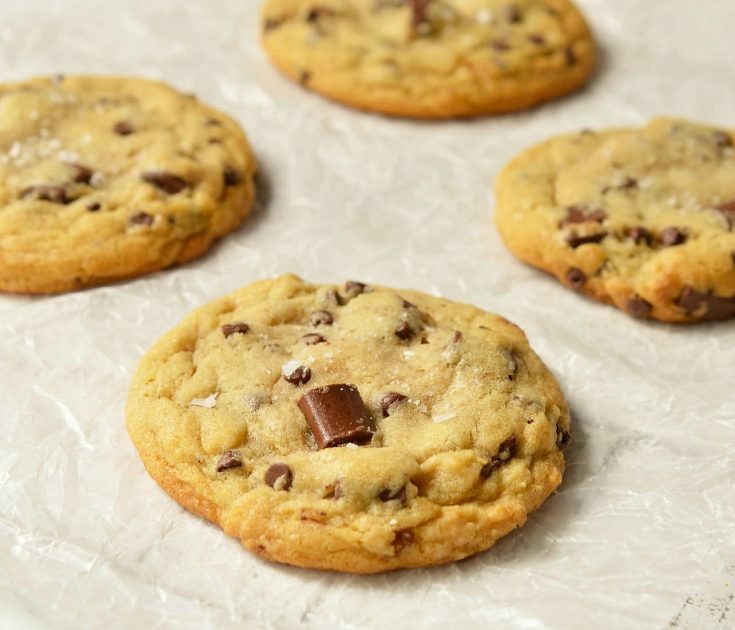 These beauties are packed with chocolate chips! Between the chocolate chunks and the mini chocolate chips there is no way you are getting a bite without chocolate (as it should be). I underbake them slightly to ensure a super soft texture because I’m gonna be honest. . . I despise crunchy cookies. Hate Them. And the kicker is a sprinkle of finishing salt on top to make all the flavors POP! Oh, I also use two different Rodelle flavors to give them a unique taste. So before we transition to more healthy and nutritious recipes, let’s all enjoy some chocolate chip cookies first. Here are a few more treats to ring in the New Year. . . 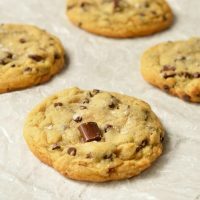 These Soft Chocolate Chip Cookies are my family's favorite treat! A special secret ingredient gives them a unique flavor and they are loaded with two types of chocolate chips! Also, this is a High Altitude Chocolate Chip Cookies Recipe. 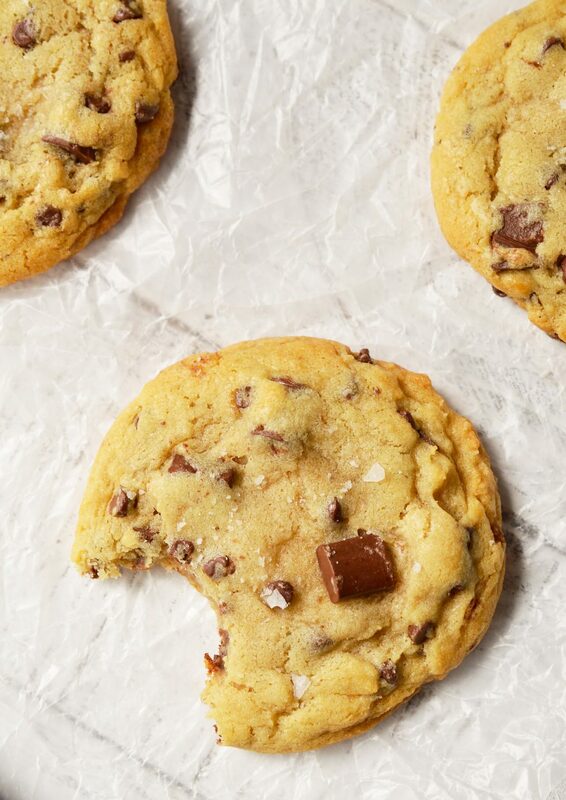 Soft, chewy, super-chocolaty and finished with a sprinkle of sea salt. Add egg, vanilla, and almond extract. Mix. Add flour, corn starch, baking soda and salt and continue mixing until mixture becomes a thick cookie dough. Stir in chocolate chunks and mini chips. Cover and refrigerate 2+ hours (preferably overnight). Use large scoop to portion out dough. Flatten rounds slightly then place on cookie sheet. Bake for 11-12 minutes. Remove from oven and sprinkle with maldon salt. Leave cookies on baking sheet for 5 minutes before transferring to cooling rack.